In the previous tutorial I explained my way of moving the feets when I do the basic jodan-ukemi, so I thought I also show how I attack (still only footwork!). In Kihon-happo we attack straight to the face with a jodan-tsuki (in basic it should be a shikan-ken), so I will explain from this point of view. If he has a good ichimonji no kamae, he point his arm straight to my center which makes it more difficult. If his front arm is pointing to the side (like Gyokko-ryu), I would try to step on his foot while entering. But he is too clever for that, so he force me to move around his left arm. Going to the inside is not good so I will attack him from his outside. I keep both knees bent, with the weight a little more on the rear right leg. I keep the spine straight and relaxed. I should be able to jump or push the body in any direction with the left or right foot. When I move in to strike, I want to be as quick as possible without making any signs before I explode forward in to the opponent. The distance to the opponent decides how big the first step with the left foot should be. I lift the left foot and quickly push the body forward with the rear right leg. I turn my left knee to the left in the same direction as the left foot is pointing (see the picture). There is no strange angles in the knee, I put the left side of the left foot on the floor first, and when my weight is over the leg, the whole foot will be rooted firmly to the ground. Then I quickly put the right foot forward. As soon as my body weight passes the left foot I start pushing the body forward with the left foot, as I do this it is important that the left foot is rooted to the ground. Soon after my right foot is placed on the ground my right fist makes contact. Then the spine twists, and my right foot and leg is starting to stop the body’s forward motion (if that is what I want*) as I strike through the target. The right knee should stop just above the toes, and you should have good balance and both knees bent. More weight on the right foot than the left foot. *If the opponent jumps backwards or move quickly backwards, I can move the left foot forward very quickly with three more strikes in that left step (I will explain this in another tutorial if I there is interest). I can run after him much faster than he can run backwards, don’t think something else! Also if the opponent doesn’t move properly here (like I explained in the previous tutorial) it will be very easy for me to kick him in the groin with the left foot (if he move the right foot too much to the side), or placing the left foot behind him for osoto-nage (if he moves his left leg off line). * Ground the feet’s properly! It is very, very important that the left foot (picture 2 & 3) does not turn on the ground as you are pushing forwards, then you will loose friction to the ground and you will slip very easily if you push forward strongly. Also Miyamoto Musashi spoke about the importance of rooting the feet to the ground and push the body forwards or backwards with the whole foot rooted, and not on the toes or balls of the feet. 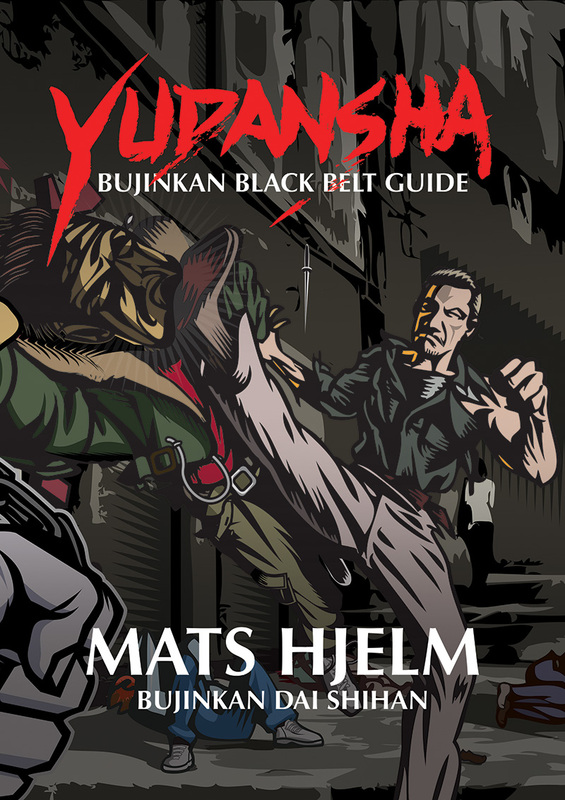 Bujinkan.ME Superfeed EN on your web site? Here is a tutorial how to put headlines from the Bujinkan.ME Superfeed EN on your own web site. Put this code in your html doc where ever you want it to show. You can add your own style, override settings and more, see this guide!